It’s time to wrap up my sequin dress series! I have saved the absolute BEST for last. I love this sequin shift, it’s so comfortable, unique and I think the print is SOO fun. 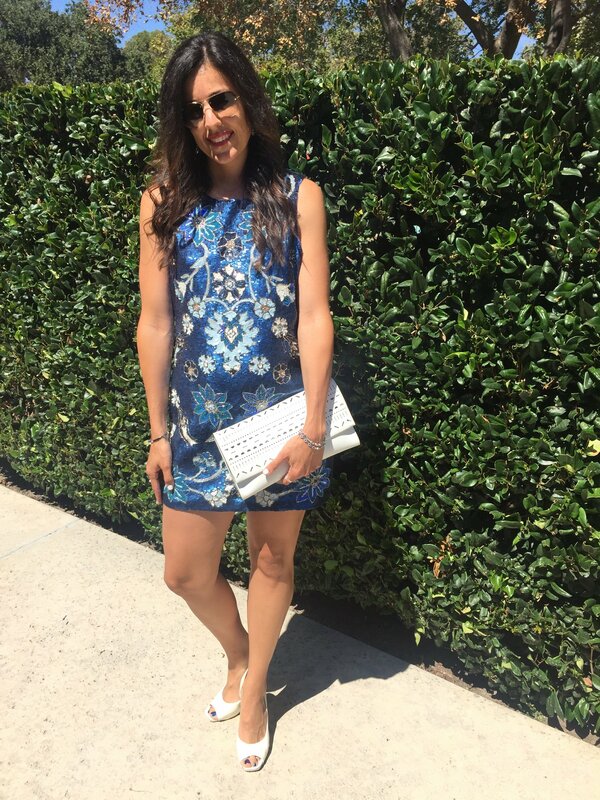 I saved this dress for the last wedding because it was in Malibu and I thought it just went with that easy, laid back California feel. I had a feeling this wedding would be outside and was hoping that it was going to be some place with an amazing view…I was right, and let me tell you it was the most beautiful place with the most breathtaking view. 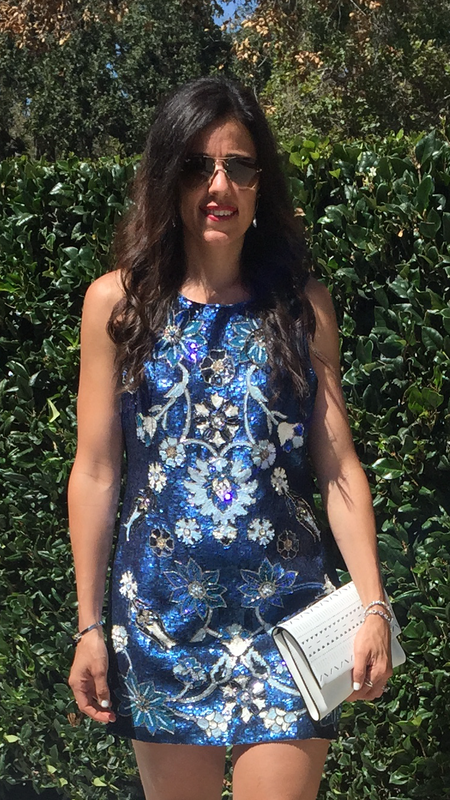 Ok, back to the dress…Once again, the reason I love sequins is because it’s so simple to get ready. You just don’t have to think much about accessorizing. I paired the dress with some simple crystal earrings and bracelets, as well as a cool clutch and white peep-toe pumps…Can’t get much easier than that!! Hope you all have a fabulous weekend. I’m super excited to actually be home and hanging out with my sweet little family! !